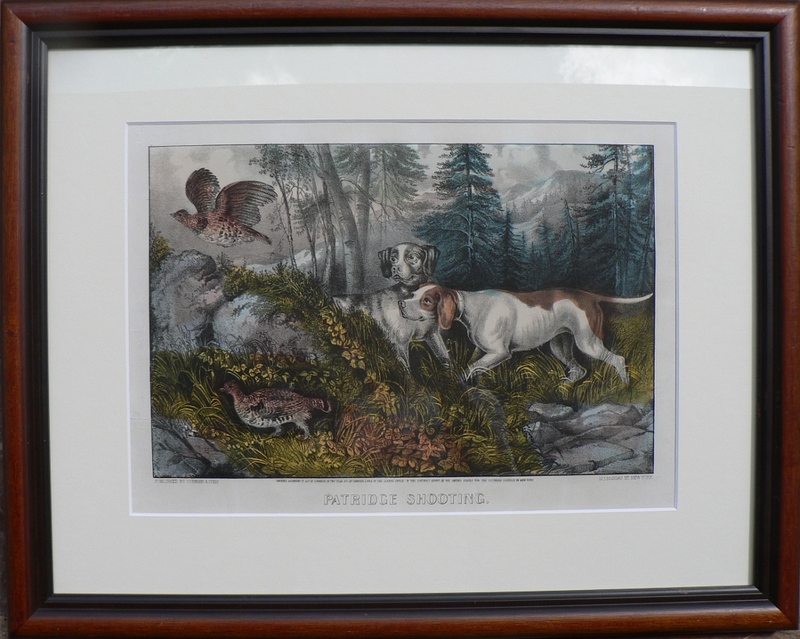 A wonderful image of two pointing dogs flushing one partridge while another continues to hide in the brush below. A wooded landscape and hills fill the background. Approximately 10 1/2 x 14 inches, sheet. Beautifuly preserved color. Excellent condition save small tear in margin at left without paper loss. 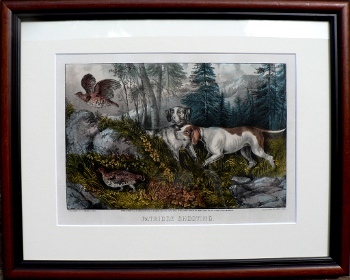 Framed to 16 x 20 inches.